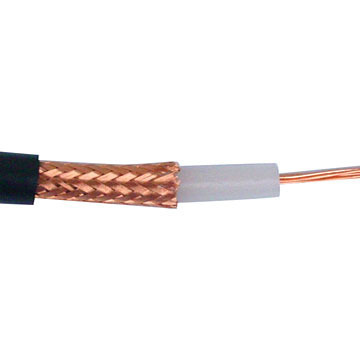 RG-58 is a coaxial cable that is used for wiring purposes. A coaxial cable, in general, consists of an inner conductor that is surrounded by a spacer. The coaxial cable is electrically charged and sometimes consists of different uninsulated conductors that remain entangled with one another. The insulating spacer of the cable is further surrounded by a sheath that is cylindrical in shape. The final circle is formed by an insulating jacket. 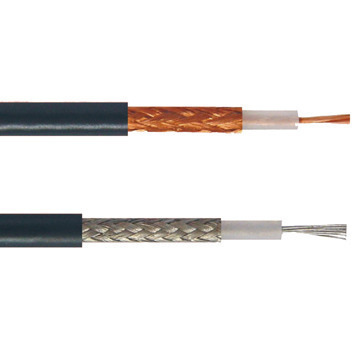 The insulation surrounding the RG-58 cable carries a low impedance of around 50 or 52 ohms. It is generally used for generating signal connections that are of low power. The RG-58 cable is most often used for the Thin Ethernet when the maximum length required is about 185 meters. The RG-58 cable frequently acts as a generic carrier of power signals. These signals are generated in physical laboratories. The RG-58 cable is at times collectively used with BNC connectors that are commonly found in oscilloscopes. The BNC connector is in fact the common connector for the RG-58 cable. The BNC connector is used for terminating the coaxial cable in the RG-58. This particular connector provides signals for radio antenna connections, electronics used for aviation, and for conducting video signals. When the RG-58 cable combines with the BNC connector, it can produce composite video played on commercial video devices. The interconnection between the RG-58 cable and the BNC connector can lead to ground loops when these are further connected with several coaxial cables. The combinations might produce an unwanted flow of current in a conductor that joins two points at similar potential. This interconnection is capable of pulling around 50 to 60 Hz fields from the AC mains. The RG-58 cable is specially designed to work with most two-way radio systems. This communication system is different from the usual broadcast receiver because the latter can receive data from one end only. In case of the two-way radio system, which can be generated by the RG-58 cable, content travels in both directions. The radio can receive and transmit data at the same time. It is also called a transceiver. The transmitter is activated by means of a push-to-talk button. These radio systems work with the 50-ohm RG-58 cable. Examples of such radio systems are marine SSB, police transmitters, fire, WLAN antennas, and marine VHF. The RG-58 can also be used for higher frequencies. The range, however, remains fairly moderate. 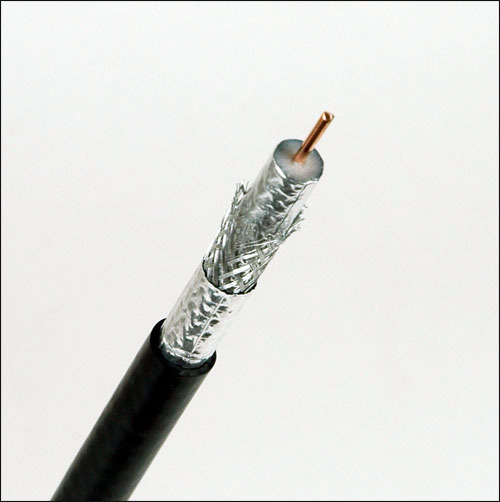 The coaxial cable that is used for generating the power signals is usually a quarter-inch in diameter. The Ethernet wiring for which the RG-58 cable is used is sometimes termed “cheapernet”, since it draws low-power signal connections. There are several well-known manufacturers that have excelled in the field of manufacturing high-quality RG-58 cables for wiring. The RG-58 cables are used for both domestic and industry purposes. They are highly advanced in telecommunications, which is primarily generated by means of the coaxial cable and the BNC connector. What power differences can both RG58 and RG213 take from a transmitter. Which can take most power RF power and how much for each please ?? is RG-6 same as RG-58..? can i use RG-6 instead of RG-58…? i want to connect it to a antenna and a receiver. RG-6 is 75 Ohm; RG-58 is 50 Ohm. They are not compatible.